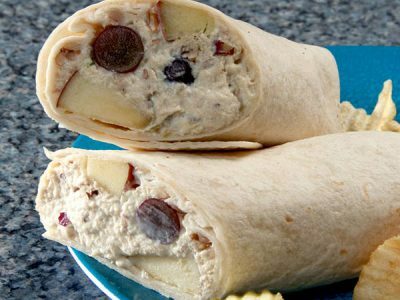 If you would like to download our Express deli menu, click here. 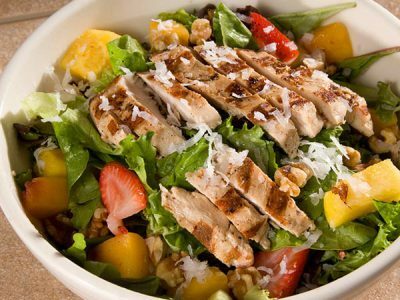 A customer all-time favorite with mixed spring greens, peaches, pineapple, blueberries, walnuts, strawberries, coconut flakes, grilled chicken breast and our tropical dressing. 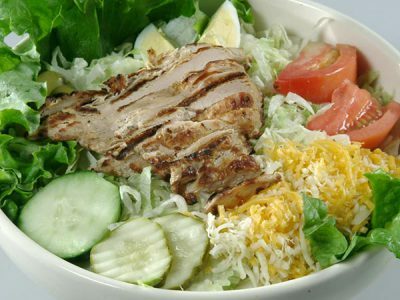 Our mesquite grilled chicken breast sliced into strips on a bed of lettuce, tomato, green olive , cucumbers, sliced egg and shredded cheese, and kosher pickle. 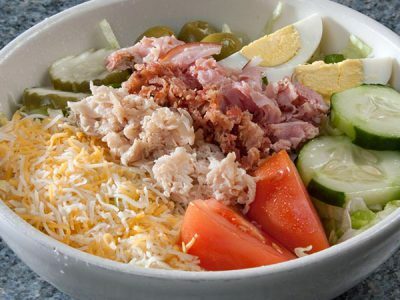 Ham, turkey, bacon, cucumber, shredded cheese, pickle slices, green olive, tomato and sliced egg on shredded lettuce and your choice of dressing. 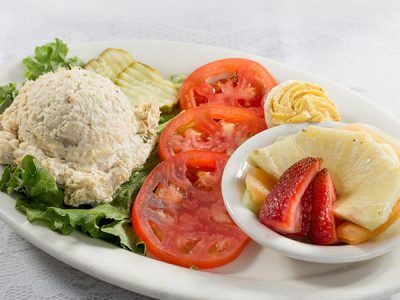 Our famous made-from-scratch chicken salad on a bed of lettuce, served with fresh sliced tomatoes, stuffed egg, club crackers and our homemade vinegar slaw. Our fresh-from-scratch low-fat chicken salad on a bed of lettuce, served with sliced tomatoes, a stuffed egg, club crackers and a fresh fruit cup. 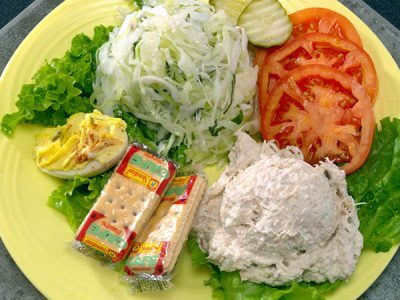 Our famous secret recipe tuna salad on a bed of lettuce, served with fresh sliced tomatoes, stuffed egg, club crackers and our homemade vinegar slaw. 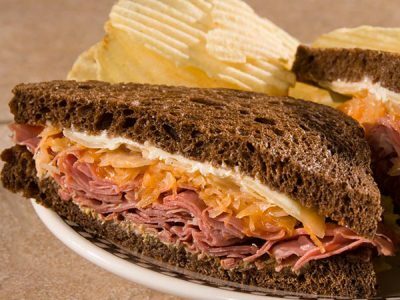 All Deli Sandwiches are served with Wavy Lays and kosher pickle slices, unless otherwise noted. 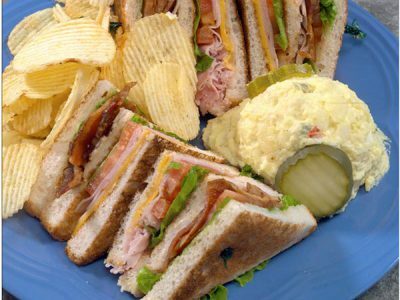 Sliced deli turkey, bacon, ham, American cheese, mayo, lettuce & tomato, on three slices of toasted white. Served with our own secret recipe potato salad, pickles & chips. 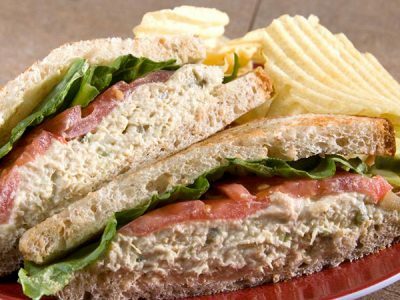 Our very own made-from-scratch chicken (or tuna) salad with mayo, lettuce and tomato, on golden toasted white bread. 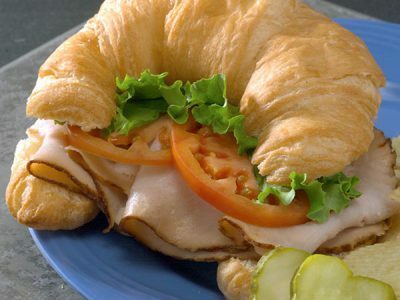 Our one-of-a-kind, melt-in-your-mouth maple cured turkey breast on a croissant with mayo, lettuce & tomato. 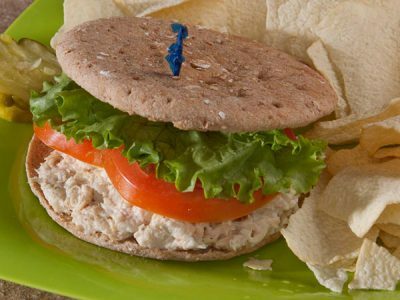 Our homemade low-fat version of our chicken salad, served on multi grain 100-calorie thin flat bread, with crisp lettuce and fresh tomatoes. Served with Baked Lays. 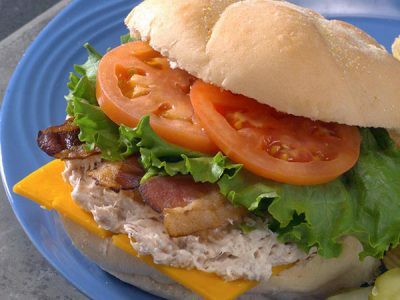 Our famous homemade chicken salad, stacked with smoked cheddar cheese, crisp bacon, mayo, lettuce and tomato, on a corn dusted Kaiser roll. 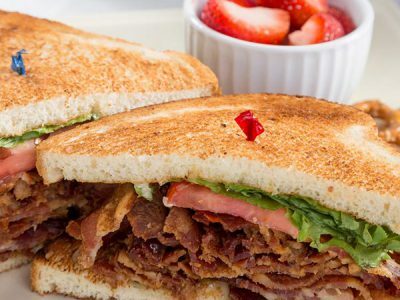 Crisp bacon piled high with mayo, lettuce & tomato on toasted white bread. Or try it on sourdough! 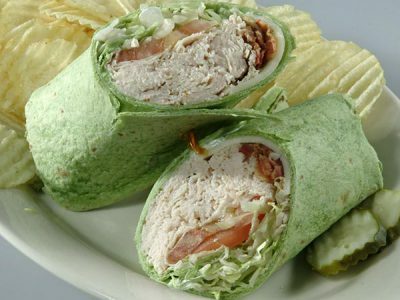 Sliced turkey with bacon, provolone cheese, shredded lettuce, tomato and ranch dressing, wrapped up in a spinach tortilla wrap. 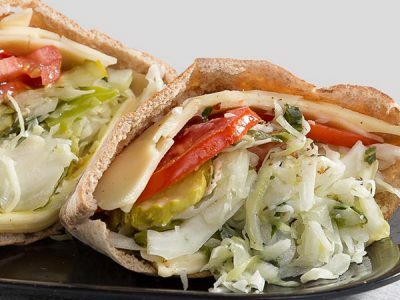 Whole wheat pita bread overstuffed with Swiss cheese, slaw, shredded lettuce, tomato, mayo, spicy mustard and Kosher pickle slices topped with our special Italian sauce. 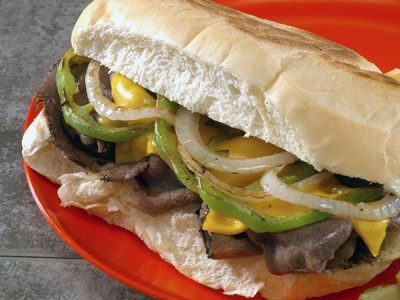 Choose any 1 fresh deli-cut meat and any bread, then choose your toppings. 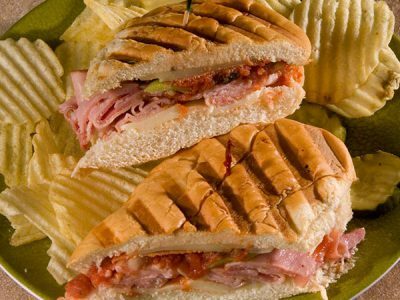 All Grilled Sandwiches are served with Wavy Lays and kosher pickle slices, unless otherwise noted. 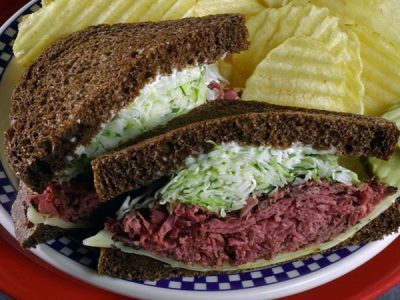 N.Y. style corned beef with melted Swiss cheese, sauerkraut, Chappy’s own special dressing, mayo & spicy mustard, on grilled dark rye. 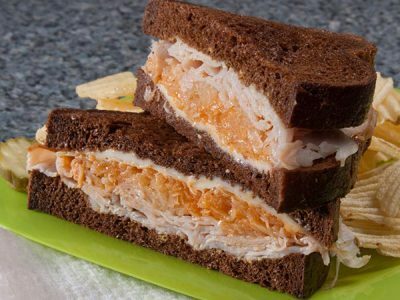 Our Reuben Grill Signature sandwich but with deli sliced turkey, melted Swiss cheese, sauerkraut, Chappy’s own special dressing, mayo & spicy mustard, on grilled dark rye. Lean thin-sliced grilled pastrami with melted Swiss cheese, mayo, spicy mustard and our homemade slaw, on grilled dark rye. Grilled deli sliced smoked turkey with Durkee’s sauce, mayo, lettuce and tomato on grilled wheat bread. 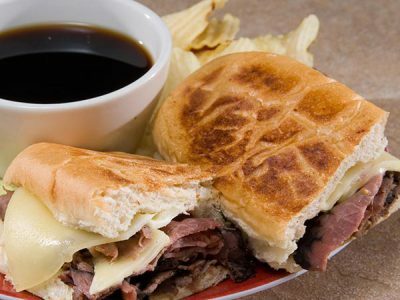 Premium stacked roast beef and melted Swiss cheese on a grilled hoagie with steaming hot au jus to dip. Ham, pepperoni, portabella mushrooms, green peppers, onions, black olives, mozzarella cheese and marinara sauce on a Panini grilled hoagie roll. Teriyaki grilled choice sirloin with sautéed peppers & onions, provolone cheese and ranch dressing, on our grilled country sourdough bread. 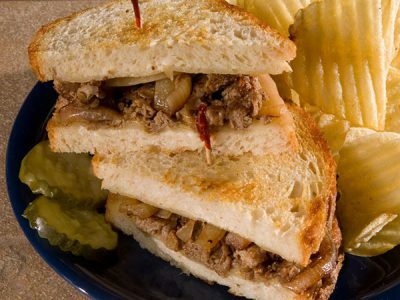 Thinly sliced choice sirloin with a light horseradish sauce, melted provolone cheese and grilled onions, on our grilled country sourdough bread. 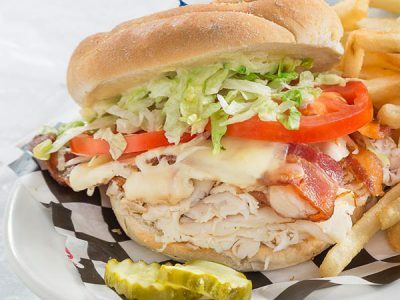 Grilled deli sliced turkey with melted Swiss cheese, bacon and topped with shredded lettuce, tomato & Honey Dijon, on a grilled Kaiser roll. 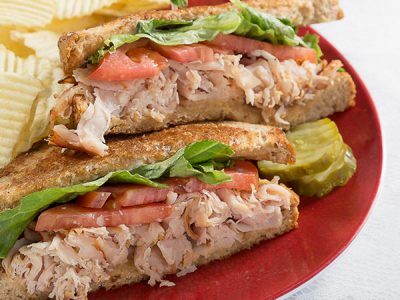 Lean grilled turkey breast topped with our vinegar slaw, tomatoes, and mustard on multi grain thin bread. Served with a fresh fruit cup. 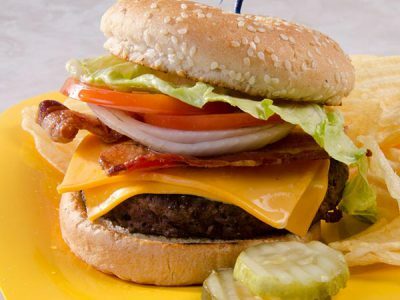 All Burgers and Chickens are served with Wavy Lays and kosher pickle slices, unless otherwise noted. 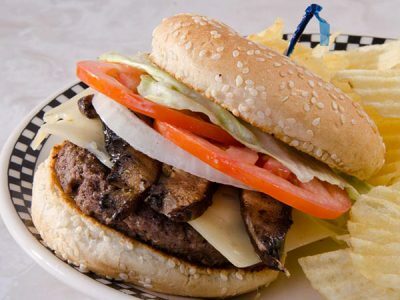 Hamburger served on a hamburger bun with lettuce, tomato, onion, mayo and spicy mustard. 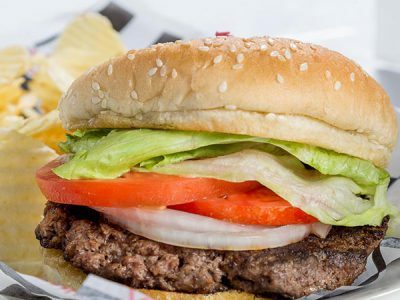 Freshly ground chuck with your choice of cheese served on a hamburger bun with lettuce, tomato, onion, mayo and spicy mustard. Hamburger topped with bacon and melted American cheese on a hamburger bun lettuce, tomato, onion, mayo and spicy mustard. 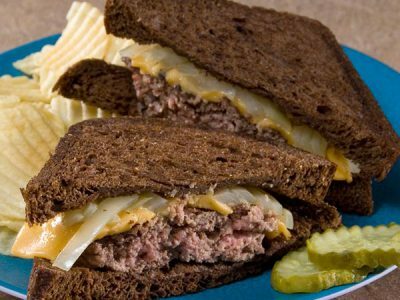 Hamburger, melted American cheese with grilled onions and mayo, served on our grilled dark rye. Four all-white fried chicken tenders. 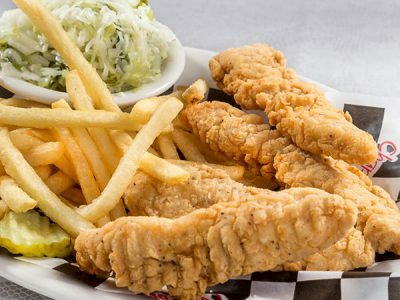 Served with honey mustard dipping sauce, French Fries and our homemade slaw. 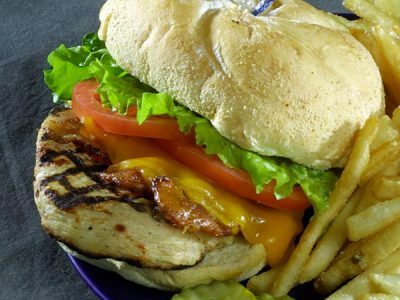 Mesquite grilled chicken breast, topped with bacon, melted cheddar cheese, mayo, lettuce and tomato on a corn dusted Kaiser roll. 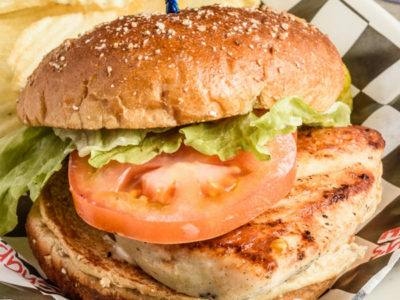 Mesquite grilled chicken breast topped with mayo, lettuce, and tomato on a wheat bun. Grilled mesquite fajita strips spiced right with sauteed peppers, onions, teriyaki sauce topped on a bed of white rice. Served with a side of grilled toast. 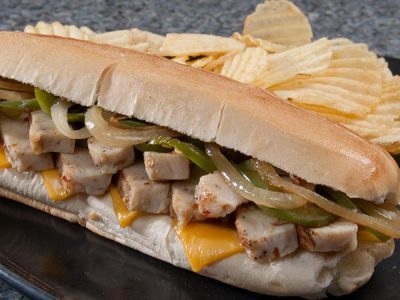 Tender spiced white chicken strips with sautéed peppers & onions and melted American cheese, served on a grilled hoagie. 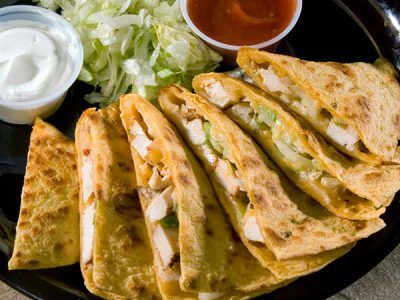 Our mesquite chicken fajita strips stuffed and grilled in a white tortilla with bacon and shredded cheese. Served with tortilla chips and salsa. 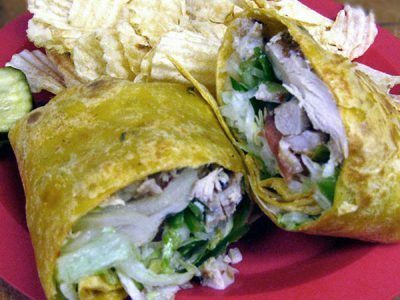 Grilled strips of flavor spiced white meat fajita chicken with sautéed peppers & onions, tomatoes, sour cream and shredded lettuce, all wrapped up in a tasty jalapeno tortilla wrap. 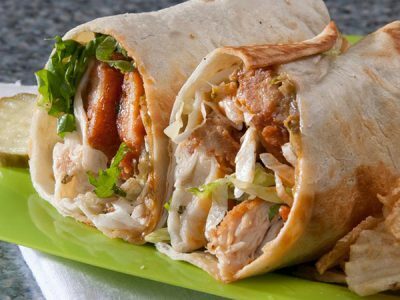 Buffalo sauce, crispy-fried tender chicken nuggets, lettuce and ranch dressing, all tucked in a white tortilla wrap. Garden veggie burger served on a wheat bun with lettuce, tomato, onion, mayo and spicy mustard.